From Pinokl and tinyBuild Games comes the latest indie port; Party Hard for the Nintendo Switch. 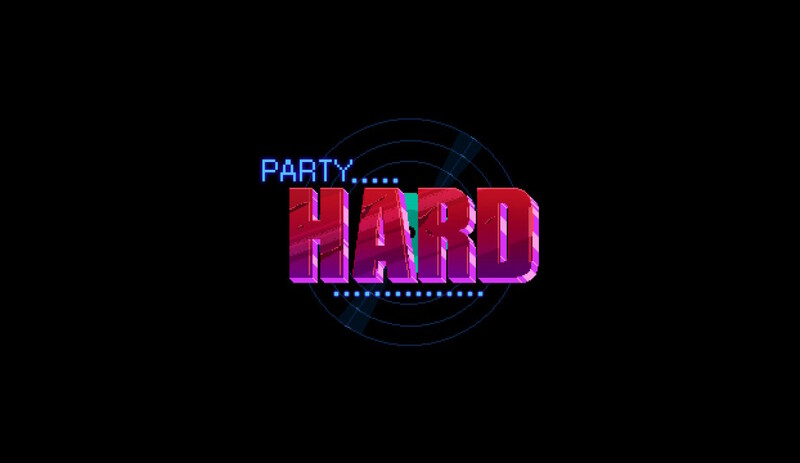 Party Hard started life as an entry into a PewDiePie game jam, but was eventually developed into the release before us today. It’s a biography of noted musician and serial killer Andrew W.K. 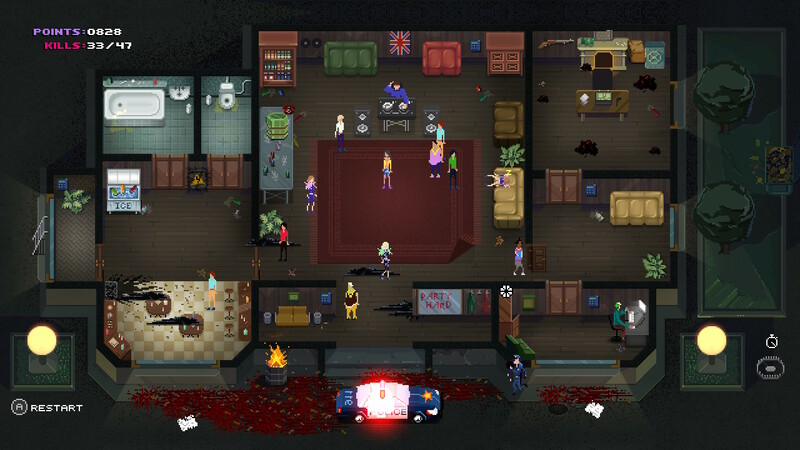 stealth action game about murdering partygoers who are making too much noise. If you’re looking for an outlet for your social frustration or just like a good techno soundtrack, it’s worth a look. The story is fairly barebones, but that doesn’t mean it’s not interesting. 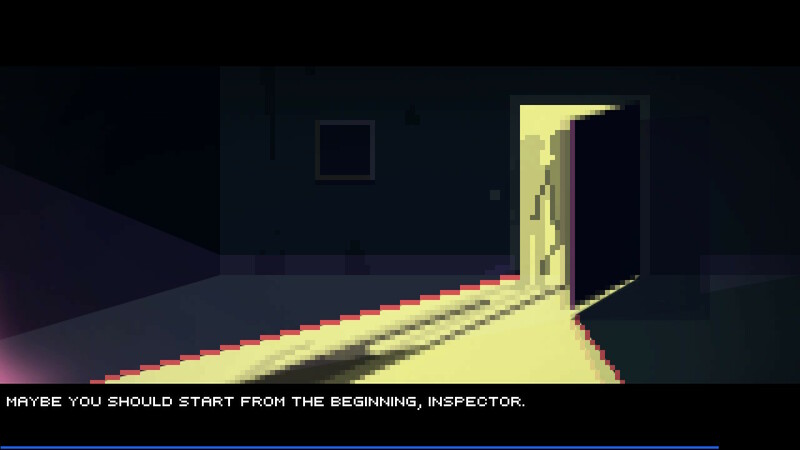 The narrative is told during cutscenes after each level, and follows the investigation of Detective John West. It takes the form of an interrogation, with a shadowy character named Darius grilling West about what he turned up. There aren’t many deep arcs or meaningful character revelations to be found, but there is a pretty good twist at the end. Again, it may be fairly easy to see coming, but the story was well-told and made for an engaging frame for the game’s action. You control a deranged killer in a hockey mask in his quest to murder anyone who parties. The most basic way to do this is to walk right up to them and stab them in the face; this is not always recommended, because if anyone sees you, they will run to a phone and call the cops. If the cops see you, they chase you, but luckily they are really, really, bad cops. They just give up and go away if it takes too long to catch up to you. You can run away from the police a number of different ways, including straight up running, hiding in crowds and dancing, and by activating traps. If you are caught, it’s game over. You can be cleverer about your massacres by employing your environment. You can set gas cans on fire, make bulls angry, sabotage ovens, piss off a horse, or run people down in a golf cart, just to name a few of the many innovative environmental takedowns. One time a bear just showed up and murdered everyone. I don’t know how I did that; according to the store page, sometimes it just kind of happens that way. If you just straight up stab someone, there are hiding spots like dumpsters and open manholes to ditch the bodies to prevent their discovery. 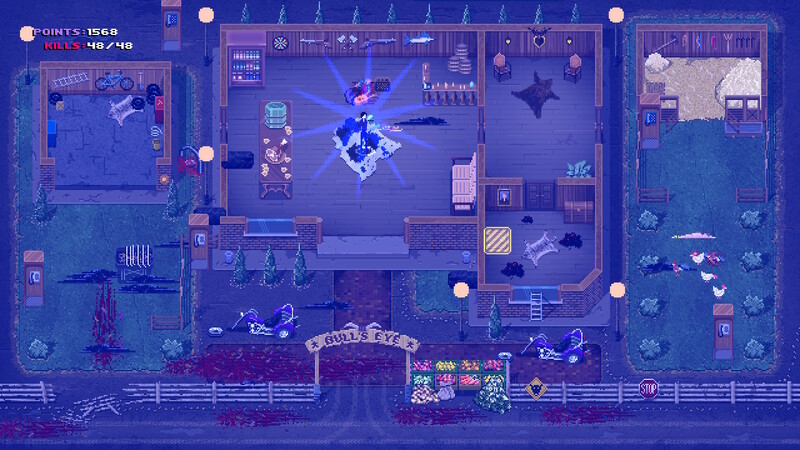 You can find weapons and items like katanas to use in addition to your trusty stabbin’ knife. Point is, there are dozens of ways to clear out a party; when you’ve gotten everyone, a cutscene plays and you move on the next location. The variety of locations and environmental traps keep the game relatively interesting, but it doesn’t altogether make up for the lack of variety to the gameplay. While bumping someone into a barrel of fire is amusing enough, you’re always essentially just walking up to things and pressing a button. There’s not a lot of strategy to it; you just use all the traps and then wait for people to wander off on their own to pick them off. So, while playing one or two levels at a time is pretty fun, it’s not the type of game you can just sit down and play for hours on end. You can bring a friend with you on your killing spree if you’d like. The game’s a lot more fun to play with a friend, but what games aren’t? The only drawback to the multiplayer is that you both need your own controller; the game uses too many buttons to split the Joycon. It’s kind of a bummer, but not that big a deal; who hangs out with losers that don’t own their own Switch? All the cool kids have one already. Oh, how I love me some pixel art. 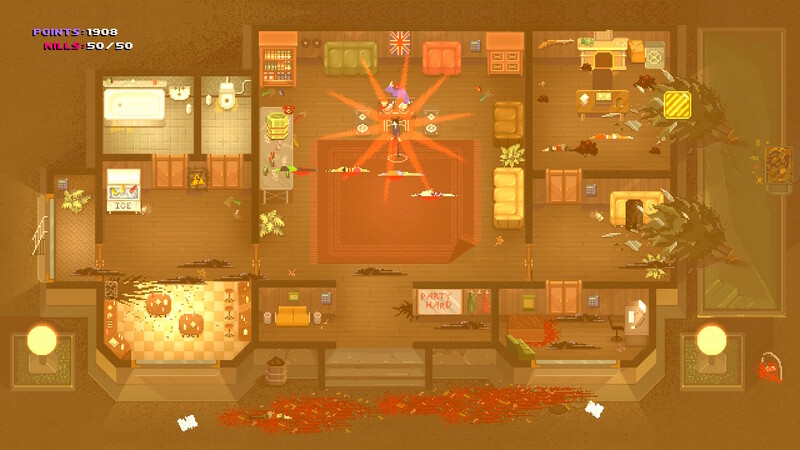 Party Hard sports some sharp pixel graphics, reminiscent of Super Brothers: Sword and Sorcery EP. The character models manage to cram a lot of detail into incredibly simple designs. The backgrounds are gorgeously appointed, creating lively environments for our hero(?) to ply his trade. It’s a good-looking game. As far as the music, the electronic soundtrack is fast and loud, creating a sense of energy even when the game is standing still. The gameplay may occasionally get stale, but the art direction always feels fresh. 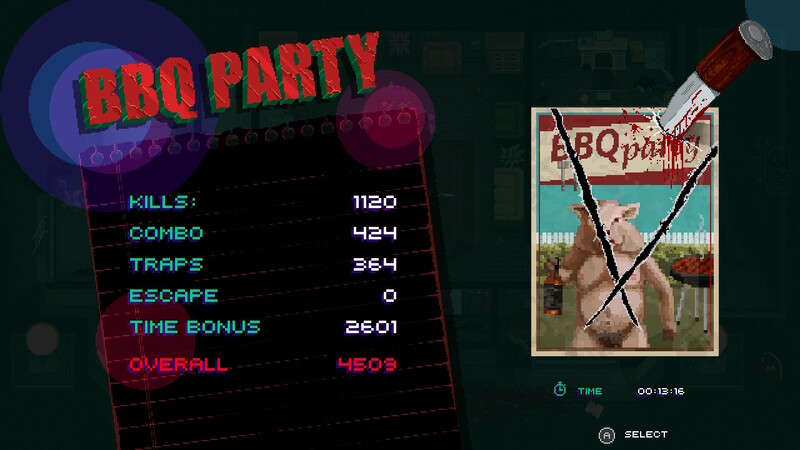 Party Hard has no touch or motion controls, so you can play it docked or undocked as you prefer. 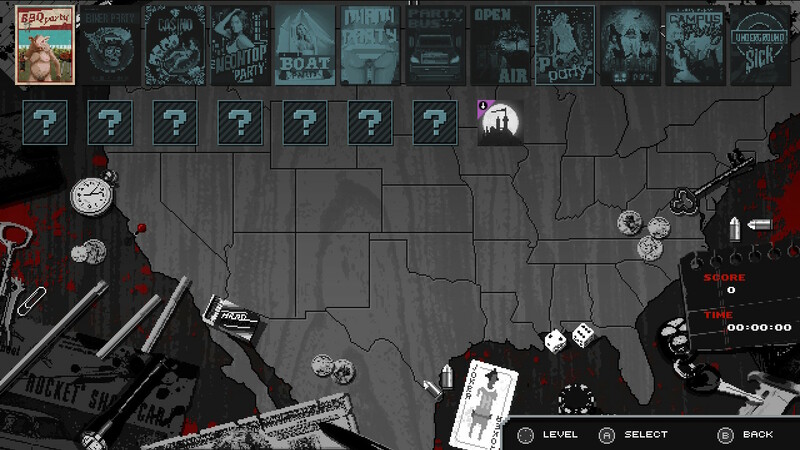 I felt like I made out all the details better when the game was docked, but your mileage may vary. You can zoom the camera in and out for different levels of detail anyway, so it’s really not even much of a problem. I always preferred playing zoomed all the way out on my TV because I could see the whole level in one screen which I felt gave me a better feel for where I needed to go. Tl;DR: A simple stealth strategy game that is fun enough in short sessions, but gets stale after extended play.